WELCOME HOME! This large 2 bedroom and 3 bathroom townhouse has been updated with style and taste. This award winning complex at 7th and Willow was designed by James Cheng and each floorplan is different. 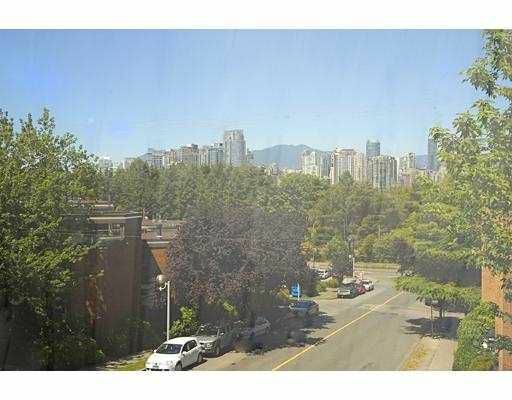 This is the largest of the units with spectacular views overlooking the city and mountains and the park across the street. The upper floors are bathed in sunlight from the oversized windows and many skylights. The 3 balconies and 1 patio are just perfect for entertaining. There are windows on three sides and all the window coverings have been custom made, though the ones in the master bedroom will be leaving with the current owners. There is a wood burning fireplace that has had an electric fireplace insert installed but could revert back to wood burning if desired. All the kitchen appliances have been updated with stainless steel and the washer and dryer are high end front loading. This home is close [but not too] to the new RAV line, Whole Foods, Save-On etc and is walking distance to Granville Island.